This was such an easy read. 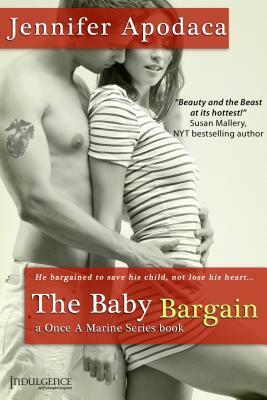 I finished The Baby Bargain in one sitting. It was fun, hot, emotional and just what I needed. The characters were awesome and the pacing was great. The beginning was just like any other romance novel until, BOOM the twist. And what a great way to change the vibe of the book. There was a lot of sexual tension between Megan and Adam and OMG I loved it! I hope this is a series because I want to know more about the secondary characters! I don't know why but I want to now more about Cooper (which wasn't even in the book but he sounds like an intriguing character) and of course the best friend, Bridget, she was a fun character to read. Oh bam this sounds awesome! I love the sounds of this unexpected twists especially I haven't come upon a book that surprised me in a long time!